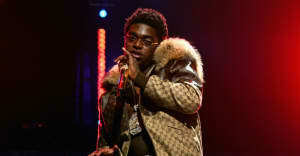 Kodak Black released another new song late on Tuesday night. "Just A Wrap Freestyle" follows the releases of "My Cousin" and "First Day Out" in the past few weeks. In the description on YouTube, the rapper says that the Southside-track is just "Bull shittin before the album." Kodak was released from jail in June after serving nearly a month of his 364 day sentence for a parole violation from a 2016 conviction. He is still facing felony charges in South Carolina for an alleged sexual assault. In December 2016, he was released on bail from a South Carolina jail.